The list of accepted papers is now available under link Technical Program. The set of tutorials and workshops are also all online. 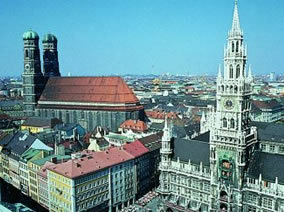 Tutorials and Workshops will be held at the Technical University of Munich (TUM). All other parts of the conference, including welcome reception and banquet, will be at the Hilton Munich City hotel. Please click on paper numbers or workshops/tutorials names to see the detailed program.